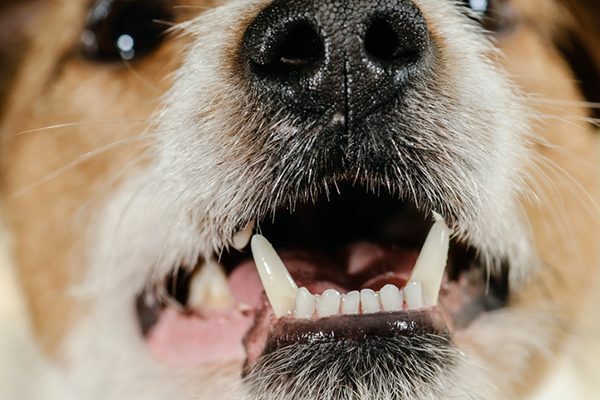 The post Dog Tooth Infection Signs and Treatments by Jackie Brown appeared first on Dogster. Copying over entire articles infringes on copyright laws. You may not be aware of it, but all of these articles were assigned, contracted and paid for, so they aren’t considered public domain. However, we appreciate that you like the article and would love it if you continued sharing just the first paragraph of an article, then linking out to the rest of the piece on Dogster.com. Just like people, dogs get toothaches and tooth infections. One of the most common reasons for a dog tooth infection is a tooth abscess, which is an enclosed pocket of infection. This occurs when bacteria gets into the root of a tooth. Tooth abscesses may happen because of periodontal disease (gum disease) or if your dog breaks a tooth. “If [your dog] breaks the tooth into the pulp, then the tooth dies very quickly,” says John Huff, D.V.M., FAVD, Dipl. AVDC, a board-certified veterinary dentist at VCA Alameda East Veterinary Hospital in Denver, Colorado. Your dog can break a tooth without you even knowing it. The most common culprit is chewing on objects that are too hard for your particular dog’s teeth, which could be common dog-chew items like tennis balls, deer antlers, pig’s ears and rawhide. Check with your veterinarian for his recommendation on what chew items are best for your dog’s teeth. Dogs can also break their teeth through mouth trauma — for instance if they run into a door or get hit in the mouth with something. What are the signs of a dog tooth infection? Photography ©alexei_tm | Thinkstock. Even though a dog tooth infection is extremely painful, dogs are experts at hiding pain. They do this instinctually. A weak animal in the wild is a target for predators, so animals tend to mask any signs of pain, illness or injury. Even though your dog is a beloved pet and has nothing to fear in the safety of his home, these instincts run deep. Subtle signs of a dog tooth infection include not wanting to eat dry food or hard treats, dropping pieces of food out of the mouth while eating, not chewing on a favorite toy, bad breath, not wanting the face or mouth touched or scratching the face or rubbing it on the floor. With advanced dog tooth infections, you might see drooling, swelling around the eyes or a draining wound near the eyes. “When it finally does come to clinical signs and now they’re drooling or they stopped eating or there is a swelling of the face, that’s the very end stage of the problem and very late in the process,” Dr. Huff says. This means that your dog is in serious pain. Are There Any Dog Tooth Infection Home Remedies? Don’t try to treat a dog tooth infection at home. “All the brushing in the world doesn’t correct the infection,” Dr. Huff explains. Instead, make an appointment with your veterinarian right away. Once your vet diagnoses your dog with a tooth infection, you generally have two options for treatment. The simplest and most cost-effective way to fix a dog tooth infection is to pull the tooth — also known as extraction. This is done under anesthesia. Your dog will feel much better once the infected tooth is out. If you want to try to save the tooth, another option is a root canal, but dog root canals must be done by veterinary dentists who have the special skills and equipment required for this procedure. Root canals are more expensive than pulling the tooth, but your dog will get to keep his tooth, and the infection will be gone. If you want to explore that option, ask your regular vet for a referral to a veterinary dentist in your area. Tell us: Has your dog ever had a tooth infection? What cause it? How did you treat your dog’s tooth infection? Thumbnail: Photography by Eric Isselee / Shutterstock.